Armed with the same diagnostic tools that authorised distributors use, Mirage Motorwerkz repairs your car with unmatched precision and quality. Modern cars are packed with dazzling new features, many of which require the latest technology to repair. In the past, a basic set of tools and the hands of an experienced mechanic are all that is needed to repair any car on the road. Current cars are equipped with latest technology such as electric parking brake, complicated automatic gearbox, and various other systems that require advanced tools and equipment to diagnose and repair properly. Most cars built after 1996 will have an OBD2 On-board diagnostics interface, which allows you to figure out the issues on your car easily with an appropriate scan tool. The generic, off-the-shelf OBD2 scan tools that many workshops use may often result in an inaccurate diagnosis, hampering the effort to solve your car's issues. 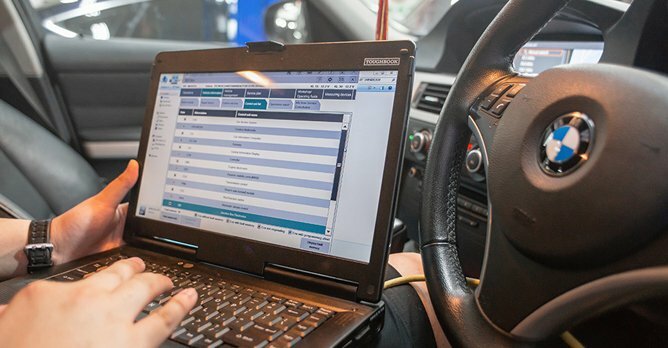 By using the same diagnostic scan tools that are used by the authorised distributors of major manufacturers such as BMW, Audi and Mercedes, Mirage Motorwerkz Pte Ltd is able to obtain a complete and accurate diagnosis. This specialised equipment allows the staff at Mirage to have full access to the car's built-in diagnostic system, enabling repairs and settings that will otherwise be impossible. 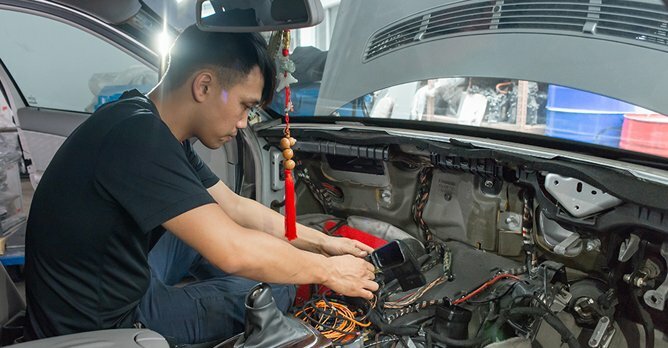 Hence, any repair work that requires the checking and clearing of fault codes, or needs an unfettered access to the car's electronics and computer system can be done here. Mr. Goh Heng Lee, Managing Director of Mirage Motorwerkz, recounted an instance where a Mercedes E-Class' rear brake pads can only be replaced with the usage of the company's specialised diagnostic tool, as other devices were unable to release the electric parking brake system. Mirage Motorwerkz is armed with the best diagnostic tools available in the market, a well-equipped workshop with all the necessary equipment and hoists of various kinds to cater to vehicles of different size and ground clearance. Unlike most businesses, the boss does not simply assume a managerial position and leave the repair work to the mechanics. Being well-versed with the cars that are sent in for repair, the knowledgeable boss works together with his team of skilled mechanics to serve their customers better. With excellent proficiency in the cars that they work with, Mirage Motorwerkz is able to ensure flawless repair work. Mr. Goh also believes in honest and transparent practices. 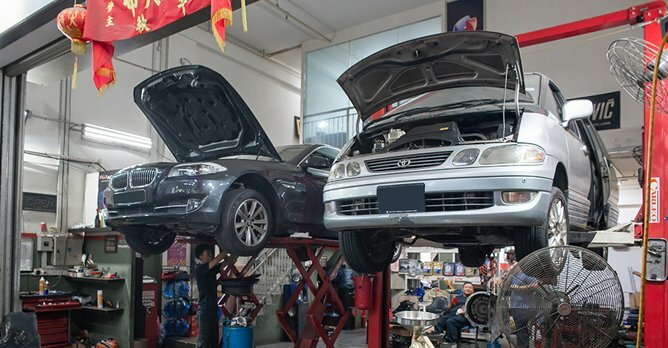 As such, you will find that repairing your car here is an experience similar to that of the authorised agents – replaced parts will be shown and explained to customers. While it seems like Mirage Motorwerkz' forte is the repair works of the latest continental makes, it isn't actually the case. Aside from new cars, they are equally proficient with older cars. As a matter of fact, a first-generation Toyota Estima Emina, which is more than a decade old, was in for repair when we visited them. Aside from the usual engine repairs, they are also capable of complex gearbox repairs and air-con repairs, which require the dashboard to be disassembled. With a daily sight of eight to ten cars being worked on simultaneously, it is clear that Mirage Motorwerkz is good at what it does. The abundance of excellent reviews racked up over its past years of operation attests to its impeccable level of service offered. 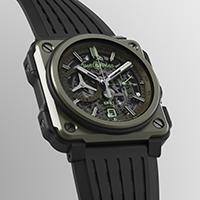 Mirage Motorwerkz is located at 10 Kaki Bukit Road 2 #01-29 First East Centre Singapore (417868). The workshop is open from Monday to Saturday, 9:00am to 6:00pm. To find out more about Mirage Motorwerkz Pte Ltd, you can call 6635 7111 / 9005 9279 / 8268 8163 / 9336 2331 or visit its facebook page here.